TenA Company, founded in 1982, is the premier mortgage quality control service in the United States, assisting thousands of mortgage lenders each year. Among their carefully vetted personnel are counted Legal & Compliance experts and a QC Solutions team. With SOC2 Compliance and a Secure Facility, TenA handles originated mortgage loans valued in excess of $100 Billion as well as performing mortgage quality control services (for example, outsourcing and prefunding/post closing). TenA also stands ready to perform investigations into allegations of fraud and carry out audits (for quality control, compliance, cancel/reject, and foreclosure/EPD) on behalf of its clients. TenA has also developed unique expertise in preparing mortgage quality control plans and conducting commercial loan reviews. In addition to enabling its clients to confidently outsource their QC needs, one of TenA’s particular strengths is its rules-based SecondLook software for mortgage audit quality control, which empowers companies to perform internal audits with the help of SecondLook’s wealth of information on FHLB guidelines, FHA, VA, federal laws, and more. 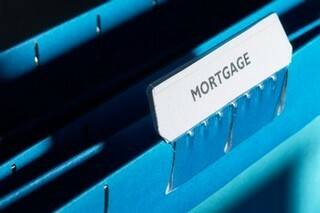 Batches of mortgages need to be audited within certain time constraints. TenA is using Aurora to perform dynamic audit scheduling, maximizing throughput of their high audit volume and guaranteeing enforcement of all special audit expertise necessitated by their more unusual categories of audits (including forensic audits). Stottler Henke’s Aurora AI-Based Intelligent Planning and Scheduling Software takes into account training of auditors, and its processing speed modifier allows for the speed difference of different auditors.